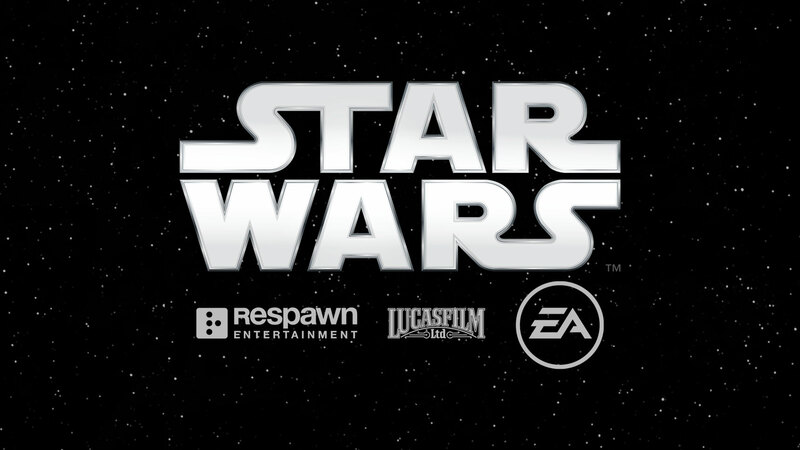 Respawn's Star Wars game will be shown off next Saturday. What are your hopes, dreams and expectations? Here's an official description of the game straight from the website. From Respawn Entertainment comes a brand-new action adventure game which tells an original Star Wars™ story around a surviving Padawan set shortly after the events of Star Wars™: Episode III - Revenge of the Sith™. The game will be releasing Holiday 2019. Honestly, I'm really hoping this game is a spiritual successor to the Jedi Knight games as opposed to playing more like The Force Unleashed which has me worried. Also having the story start off during Order 66 would be really interesting. Respawn really have the potential to tell a compelling original Star Wars story here but I hope they allow us to shape our characters the way we want a la KOTOR. Imagine being able to pick what Lightsaber form you want or which force powers to emphasise etc. For the most part, I'm cautiously optimistic and hoping to be blown away next Saturday, what about you, Era? That it's an interesting pitch underneath a lot of live-service factors that drags it down from making us truly excited. No expectations, this way I don't get disappointed. I mean they’re probably top 5 devs of this gen.
Star Wars nerds are obsessed with the lightsabers being one hit kills, but I'm down for another character action title with combos and TFU's DBZ force powers. Very high expectations. Heard this was running on Unreal so that’s a plus. I don’t even care if it has multiplayer. Worst fear: Star Wars Call of Duty. Is it another MP focused game or will the story be a big focus? Titanfall 2 had one of the best single player campaigns for a shooter this generation. Stig did a pretty good job with God of War III, so I expect a tight, varied campaign with memorable set pieces. It's a single-player, story driven game. No news on any multiplayer stuff so far. They have already said that this will be a third person action adventure game. Doubt they would have let Stig Asmussen direct it otherwise. I'm hoping it crushes and gives the fans what they needed in place of Amy's game. You mean God of War Star Wars? Even the last Star Wars had a story. Seriously though, I think of Titanfall 2 and God of War 3 and I get hyped beyond belief. It's gonna be amazing, and I'm not even that into Star Wars. I just want a good, single player, Star Wars game. Is it too much to ask? EA doesnt make anything I ever want to play and I don't expect this game to change that. I also don't really have any interest in star wars. Crazy we haven't gotten a game from Stig in nearly 10 years. He did a fantastic job with GoW 3, and again has a great team underneath him. I'm expecting the GOAT Star Wars game. That EA will find a way to screw it up. Whether that be through microtransactions or rushing the game out. When was the last time we had a Star Wars game worth anything, Kotor 2? Fifteen years. The Old Republic MMO was decent. Oh wow when was this announced? I just want a story driven action adventure akin to God of War 2018. That is the dream. Expectation is Force Unleashed 3. Edit: Oh actually this is Respawn. I have A LOT more faith in this then. Oh, didn't know that. It might actually be worse. I have a new worst fear. I’m expecting absolutely nothing. Anyone hoping for something reminiscent of the Jedi Knight series is surely going to be disappointed. On the plus side, Respawn is great and I have tonnes of respect for them as someone who put stupid amounts of time into Titanfall 1/2 and I trust them to make a great game. On the other end I have little trust for EA's handling of properties and studio's. I will gladly be surprised if the game turns out amazing but I stopped getting excited for EA published games 5 or 6 years ago. Hopes are a Jedi Knight series successor, mostly linear with no GaaS bullshittery or scale bloat. Perfect eh, ea partners or respond hasn't been that great. Single player only? Surprising from EA. It is still EA, fingers crossed, but I don't expect a Sekiro. I’m expecting lootboxes and monetization galore. This made my day i thought the singleplayer starwars game died. If you consider them to be the same as the team that did Allied Assault, CoD1-MW2, in addition to doing Titanfall 1 and 2 and Apex Legends as Respawn, their track record is unprecedented. :o that makes alot of sense.